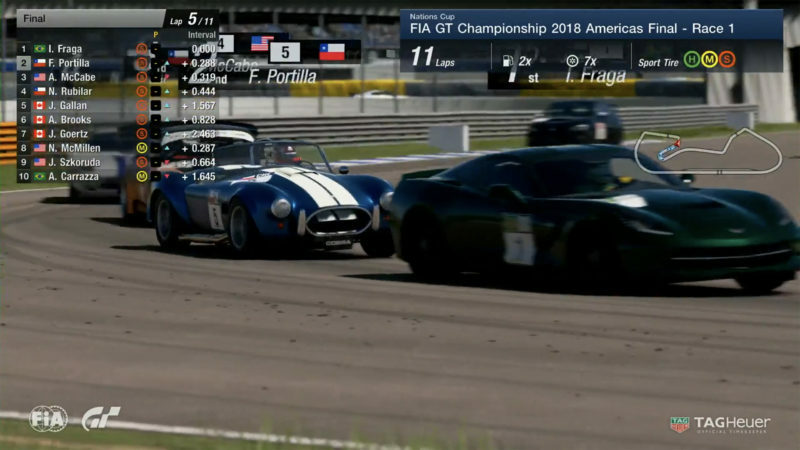 The 2018 FIA GT Americas Regional Championship was held in Las Vegas last week, and saw the crowning of the first Americas Champion: Igor Fraga, known as “IOF_RACING17” in GT Sport. From the start of the competition, Fraga was a heavy favorite to win it all: his name was brought up by nearly all of the Americas regional competitors that we interviewed before the racing began. Fraga immediately lived up to the hype, starting from pole and cruising to victory in the first Block race of the day. 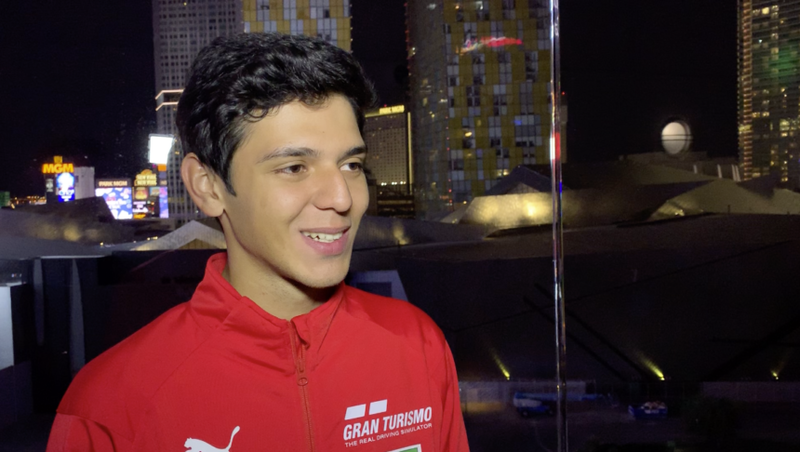 He secured his ticket to the World Finals while dominating a field of the best drivers from South America, including crazy-fast Chileans Nicolás Rubilar (FT_NicoR) and Fabian Portilla (FT_Mcqueen91). Later, in the Americas Championship races, things didn’t go quite as smoothly. On pole in a C7 Corvette at Blue Moon Bay’s Infield A circuit, a poor start saw Fraga lose the lead to Rubilar before the first turn. The rest of the race didn’t go much better, with Fraga finishing just off the podium. Fraga quickly recovered for the second race at Mount Panorama. Starting from 4th, he drove a steady race, avoiding the mistakes of others to take a solid victory. He saved his best performance for last, winning in a dominant performance at his country’s most famous circuit, Interlagos. With his regional title secure, it’s time to look ahead to the World Finals at Monaco next week, where Fraga will be a major threat. At only 20 years old, he’s been playing Gran Turismo for the past 15 years, and he’s been competing in the real-world for even longer (16 years!). Fraga knows how to win, too: he’s earned eight karting championships in Japan and Asia and won the Formula 3 Brazil Light Championship last year. In 2018 alone, he competed in 33 races, scoring 3 pole positions, 15 podiums, and 7 wins. Needless to say, Fraga has all the tools he needs to become the first Gran Turismo World Champion. He has already shown he is faster than the best from North and South America, but can he continue to hold them off in Monaco, and what about the looming threats from Europe and Asia? How much will his real-world racing experience help in his quest for a virtual championship? We will explore these questions and more — including how Fraga matches up against European Champion Mikail Hizal (TRL_LIGHTNING) and Asia/Oceania Champion Ryota Kokubun (Akagi_1942mi) — in our continued build-up to the Nations Cup Finals, which kick off in Monaco next Friday, November 16.